The first sight of Jerusalem immediately overwhelmed me with that awe of being in one of the world’s great cities. The weight of its history, the excitement of walking in the footsteps of Christ, the signs in a language I couldn’t even begin to understand. I panicked! Even though I had prepared for this trip with tons of internet research, maps, a google doc with my list of things to remember, I felt like I had no clue what we were doing or how to get where we wanted to go. 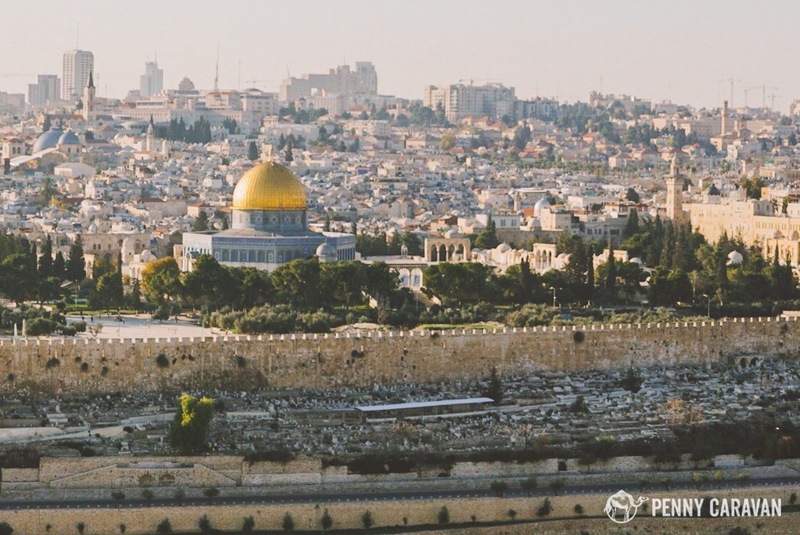 Most people visit the Holy Land with a group, and for good reason—you don’t have to worry about the logistics at all, you just get whisked around to the sites as you relax and take it all in. But we almost always travel independently, and we wanted to visit the holy sites on our own schedule. 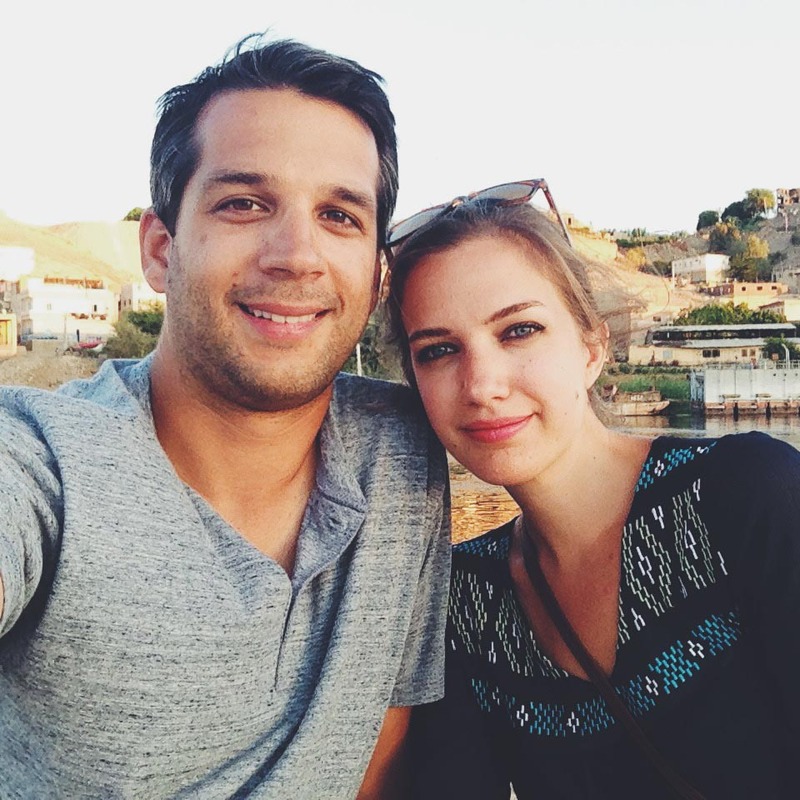 So despite having a guidebook in hand, I confessed to Shane that I felt like a newbie traveler. 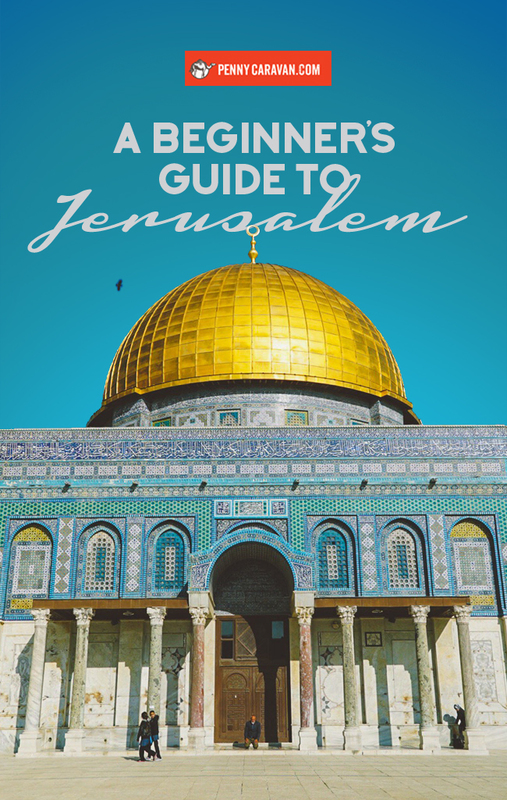 Here’s the thing: as a place of pilgrimage for three faiths, Jerusalem has been hosting newbie travelers for thousands of years. 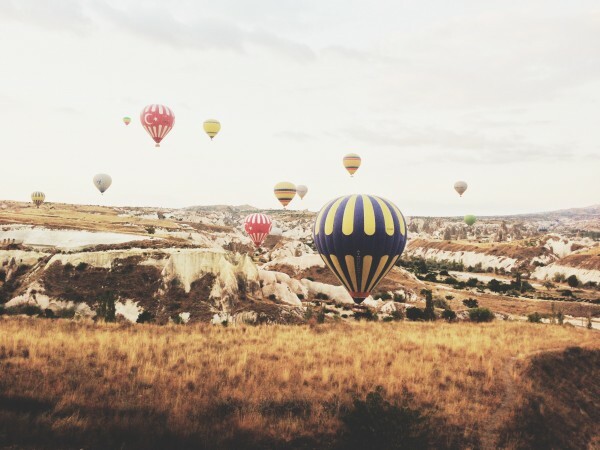 So if you’re feeling overwhelmed by the idea of visiting, you’re in good company. The Temple Mount is the holiest site in Judaism. It is believed to be the place of Adam’s creation, the site of Abraham’s sacrifice, and most importantly the site of the First and Second Temples. To Muslims it is Haram al-Sharif, the place from which Mohammed ascended to Heaven. This view of the Temple Mount is from the Mount of Olives to the East. The Western Wall is located on the opposite side. King David established the city as the capital of the Jewish Kingdom in 1000 BC, and his son Solomon built the First Temple, which was destroyed by the Babylonians when they exiled the Jewish people. The Persian king Cyrus the Great allowed the Jews to return to their land and rebuild the Second Temple. Alexander the Great conquered the city in 331BC, and during these years it was looted and desecrated by many ruling parties, bringing about the Maccabean revolt and re-sanctification the temple around 164BC (this is also when the celebration of Hanukah began). The Second Temple stood well into the Roman occupation, until the Great Jewish Revolt in 70AD. The Romans installed King Herod, who expanded the Temple Mount in 20BC. Pontius Pilate was also a Roman-era figurehead who ordered the crucifixion of Jesus Christ in 30AD. The Great Jewish Revolt led to the looting and destruction of the temple in 70AD, at which point many Jews fled into exile. Plans failed to rebuild the temple during the Bar Kochba Revolt of 132AD. In 326AD, Helena mother of Constantine visited Jerusalem in search of Holy Relics. It was during this time that many churches were established on the holy sites of Christianity, and the Temple Mount served as the site of a Byzantine Church. The Muslim conquest of the 7th century established the shrine of the Dome of the Rock and Al-Aqsa Mosque on the Temple Mount. During the short Crusader era, the mosque served as headquarters of the Knights Templar. Throughout the Muslim occupation, the Jews were allowed to visit the Temple Mount, but they dare not tread on the area as the exact location of the Holy of Holies is unknown. Jews now pray at the Western Wall, which is the wall closest to the original site of the temple. The British conquest led to the 1947 United Nations Partition Plan, which separated Palestine into two states: Jewish and Arab. This led to the 1948 Arab-Israeli War. The State of Israel declared Jerusalem as its capital in 1948. The capital city is still a hotbed of controversy, with the notorious wall separating the Jewish and Palestinian areas. Sadly, confrontations and acts of terror happen frequently in the city, but are never specifically targeted to tourists. When you visit Jerusalem, I highly recommend visiting the Tower of David Museum, which takes you through history of the city. Then, take a tour of the Kotel Tunnels, which explains the history of the Temple Mount in great detail. 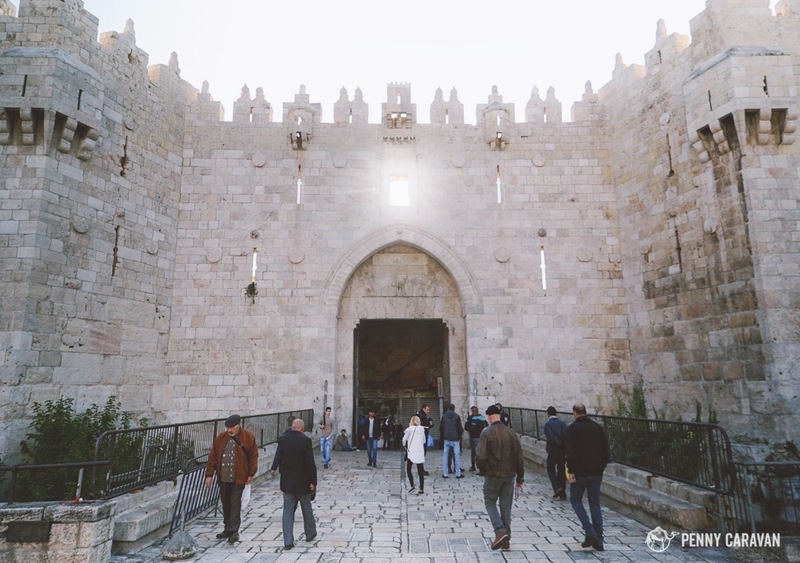 Jerusalem is a sprawling city with both ancient and modern areas, but for tourists, the Old City is the area you’ll want to spend the majority of your sightseeing. 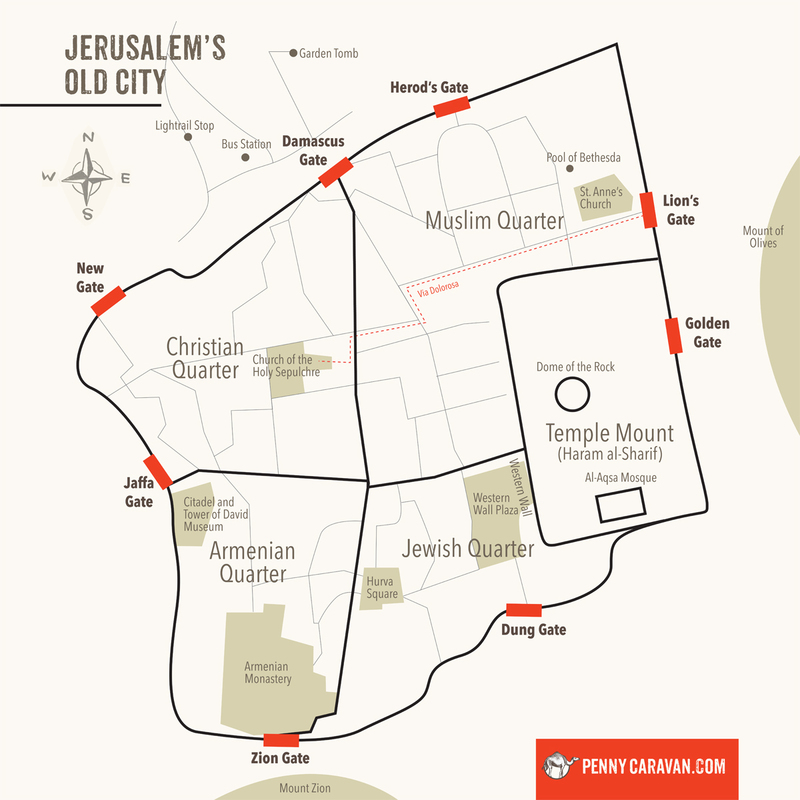 The Old City has four main areas occupied by Jews, Christians, Muslims and Armenians. Though people will refer to these four areas when giving directions, they are not actually divided and you can walk freely between each area. The Old City is surrounded by walls that were established in ancient times, but the walls you see today were rebuilt by Suleiman the Magnificent in 1535. Seven gates offer access into the Old City (an 8th gate has been blocked for centuries). Damascus Gate: This gate leads to the bustling Arab quarter. The lightrail stops near this gate, so if you’re using public transportation, this will be the easiest access between the Old City and the new. Herod’s Gate: Also leads to the markets of the Arab Quarter. If you’re catching a bus to the Mount of Olives, you will wait just outside this gate. Lion’s Gate (St. Stephen’s Gate): Named for the lions that decorate the exterior, and also for St. Stephen, the first Christian martyr, who was stoned nearby. Exiting Lion’s Gate leads directly to the Mount of Olives. Entering Lion’s Gate leads you down the Via Dolorosa. Also near the entrance of this gate is the Pools of Bethesda and St. Anne’s Church. Golden Gate (Eastern Gate, or Gate of Mercy): This gate has been blocked for centuries, and Jews believe it will only be opened when the Messiah walks through it, rising the dead from their graves. This is the reason many Jews decide to be buried on the side of the Mount of Olives which it faces. Dung Gate: In ancient times, refuse was dumped outside of this gate so that the wind would carry the odors away from the city. This gate leads to the Temple Mount and the Western Wall. Zion Gate: This gate leads to the Armenian and Jewish quarters. Mount Zion is directly outside this gate. Jaffa Gate (Hebron Gate): Probably considered the main gate to the Old City, it leads to the Jewish and Christian quarters. Just inside the gate is a Tourist Information Center and the Tower of David Museum. New Gate: This is the only gate which was not part of the original layout of the city. It was added to allow pilgrims easier access to the Christian quarter. The Via Dolorosa – Walk the way of Christ as he carried the cross to Calvary. Church of the Holy Sepulchre – Where tradition holds Christ was crucified and buried. Tower of David Citadel – Museum of the history of Jerusalem. Temple Mount and the Dome of the Rock – Holiest site in Judaism as the location of the First and Second Temples, and third holiest site in Islam as location of Mohammed’s ascension. Western Wall and Kotel Tunnels – The location closest to the original site of the Temple where Jews go to pray. Garden Tomb – An alternate site matching the description of Christ’s crucifixion and burial, and a very nice contemplative garden. Church of the Pater Noster – Where Christ is thought to have taught the Lord’s Prayer. City of David – The oldest site in Jerusalem, this archaeological area is a Canaanite-era settlement captured by King David. Mahane Yehuda Market – Bustling food market with restaurants and live music at night. Israel Museum and the Shrine of the Book – Where the Dead Sea Scrolls are displayed. Yad Vashem – A Memorial and a Name to the victims of the Holocaust. Because of the location of the hotels we stayed at, the lightrail proved to be very valuable. There is only one line, but it takes you close to many of the main attractions, and taxis or buses can take you the rest of the way. 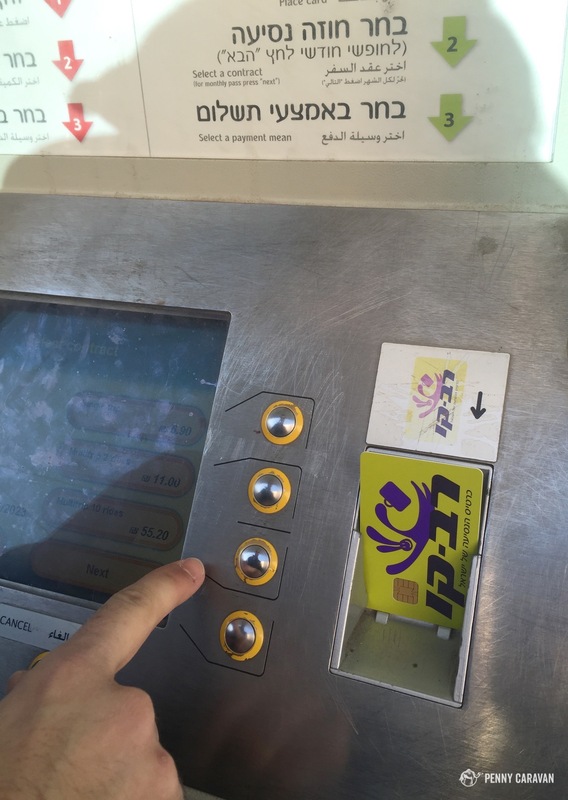 Tickets for the lightrail can be bought per ride at every station, or you can get a Rav Kav card at the Central Bus Station and pre-load it with money to use every trip. You can use this card on the buses as well (but not the Arab buses that leave from Damascus Gate). Note: the lightrail and the buses do not run on Shabbat and you will have to rely on taxis, who will also charge a Shabbat premium. Using the kiosk at the lightrail station to refill our Rav Kav card (kiosk has an English language option). Jerusalem is home to many cultures and religions. Walking through the Old City you may hear church bells right after the muezzin’s call to prayer mixed in with the blast of the shofar.The smell of sacred incense will certainly stay with you until lunch time when the smell of falafel takes over. You’ll see men with long curls and tall hats and women with scarves covering their shaved heads—these are the Haredi (Ultra-Orthodox) Jews. Also be prepared to see a military presence wherever you go, as most citizens are required to serve and do carry their weapons even if they’re not in uniform. Obviously, Jerusalem is a very religious place, so dress modestly and be careful to act in a respectful manner, especially in the Old City and Haredi neighborhoods (no one likes having their photograph taken without permission or being treated like a curiosity). Official languages are Hebrew and Arabic, but most signage in the Old City will also be in English. 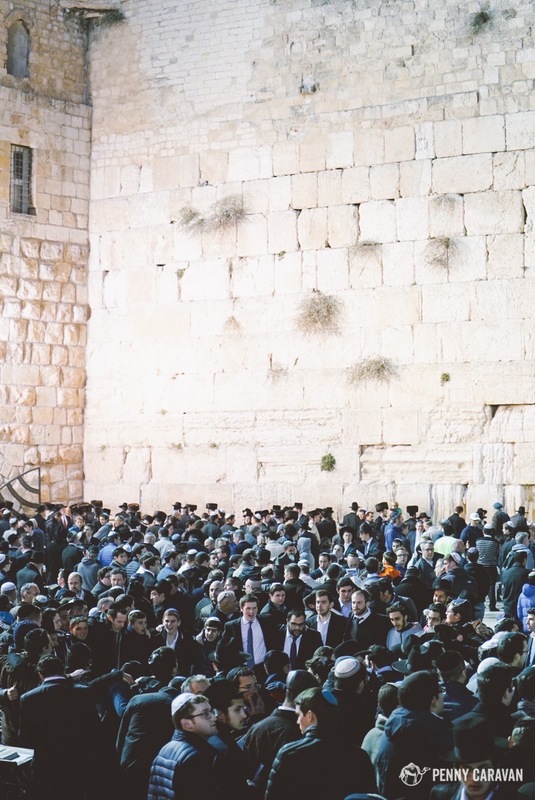 The Western Wall becomes a place of celebration on Friday evening. Shabbat begins at sunset on Friday and ends at sunset on Saturday. During this time, Jews do not work—and neither do any of the public services. There’s still plenty to see and do, but with many of the popular sites and all kosher restaurants closed, you should definitely plan ahead if you are visiting the city during this time of the week. With such a lengthy history and rich culture, Jerusalem is certainly a special place that deserves to be on any traveler’s wish list. 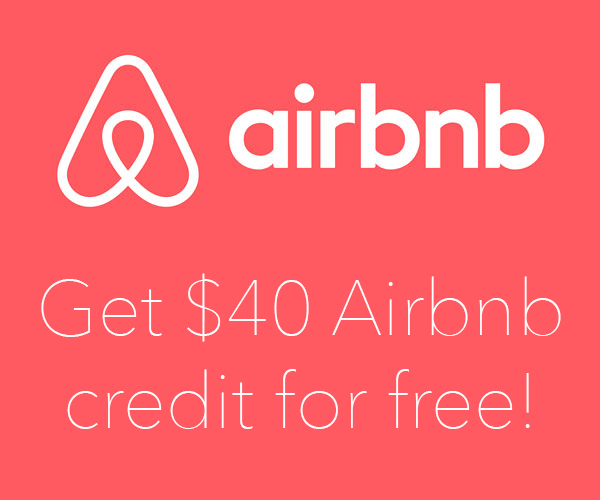 Be sure to check out our other posts and start planning your own trip!